Visiting the graves of the great composers is a humbling and profound experience. 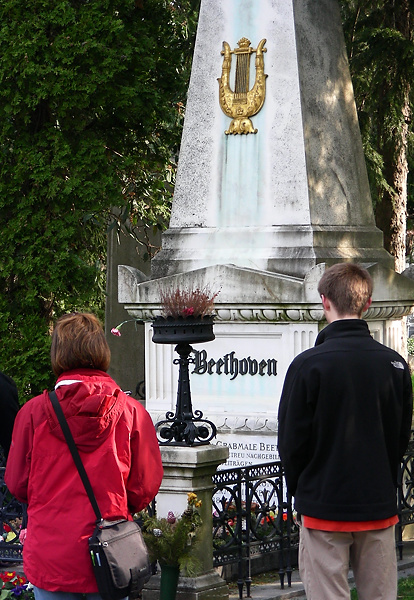 Standing in front of Group 32A in Vienna’s Central Cemetery, you can view the graves of Beethoven, Schubert, Johann Strauss, and Brahms next to one another. The resting places of Gluck, Wolf, Johann Strauss (father), Lanner, and Schoenberg are all nearby. Dr. Nelson will take you there during our trip. 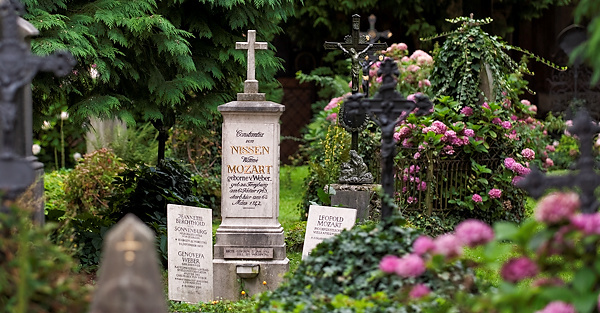 In Vienna’s St. Marx Cemetery is the field where Mozart was buried in an unmarked grave. It is marked by a statue of a crying angel. No more perfect memorial for the world’s greatest composer can be imagined. (See the blog on Mozart’s Unmarked Grave.) 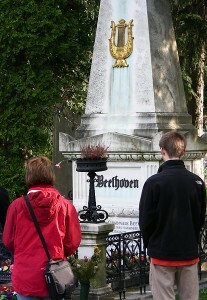 Other cemeteries in the Austrian capital city have graves of Mahler and Berg, and the original gravesites of Beethoven, Schubert, and Haydn. In the cemetery behind St. Sebastian’s church in Salzburg are the graves of Leopold Mozart and Constanze Nissan Mozart (Wolfgang’s widow). The St. Peter’s Cemetery has the grave of Nannerl Mozart (Wolfgang’s sister) and Michael Haydn. The graveyard scene at the end of The Sound of Music was modeled on this picturesque site.